Cider is the new thing in today’s drinking world, even though it’s been around for centuries. In spite of its long and colorful history, cider has remained relatively underappreciated by the American public. The purchase in 2012 of a Vermont-based cidermaker for over $300 million signaled that this is all likely to change very soon.Richly informative and entertaining, Cider, Hard and Sweet is your go-to source for everything related to apples, cider, and ciderm aking. 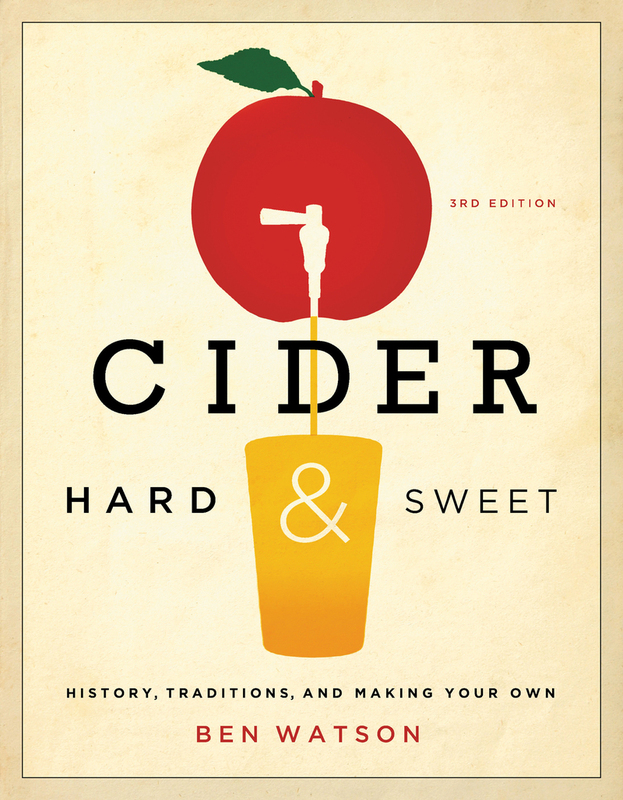 It includes great information on apple varieties, cidermaking basics, barrel fermentation, and recipes for cooking with cider—with instructions for making boiled cider and cider jelly, and recipes for dishes with cider braises and marinades. It also teaches readers how to recognize a good cider and takes you from buying store-bought to making the genuine article at home. Ben Watson is editor-at-large for Chelsea Green Publishing and a longtime supporter and writer about the Slow Food Movement. He lives in Francestown, NH.